Formed in 2000 by Xathagorra Mlandroth and released only one full album in 2006 - "In the Depths of R'lyeh". 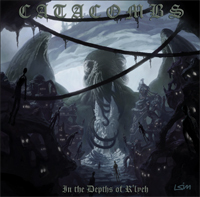 Catacombs comes from USA and plays very slow funeral doom metal. Xathagorra Mlandroth plays on all the instruments and is doing vocals.